We often talk about price and value as being very separate animals. Price is whatever anyone wants to ask for a ‘thing’. An asking price can be as wholly realistic or as flamboyantly outlandish as the seller of that particular thing decides. If the price is right, the thing sells – if the price is low, the thing sells fast – but if the price is too high, the poor thing sits on a shelf gathering dust. Value, on the other hand, is what the thing is actually worth. That’s part of the beauty of the secondary (auction) market; it highlights true value and provides an open market test of worth. Take, for instance, the relatively recent release of the revised Mortlach range. A controversial 50cl bottle size and ambitious pricing raised eyebrows. The 25 year old range topper costs £600 per bottle, or £840 per 70cl equivalent. For a new-start luxury malt brand to position itself above the combined prowess of the mighty Macallan (£680 per 70cl 25 yr old) and Dalmore (£600 per 70cl 25 yr old) takes some confidence. It was interesting to see where the open market priced the Mortlach in the recent Whisky Auctioneer sale. Its retail price might be viewed as a little ‘toppy’, so how does its true open market value compare to the 25 year old Macallan and Dalmore? The Macallan 25 sells for £600 per bottle at auction. The Dalmore 25 sells for £410 per bottle at auction. The Mortlach achieved £275 (£385 per 70cl equivalent). From a sellers perspective, that places the Mortlach 25 into a very rare group of bottles indeed. Those who lose >50% in value when switched from the primary to the secondary market. We highlighted a recent Glenturret which saw a massive loss too, the Mortlach is almost on the same level. Taking into account sellers fees and VAT yields a 59.7% primary-to-secondary market loss. Not one for the collector/investors. That said, we do still see older OB and IB Mortlach performing exceptionally well. A trend we expect to continue if not accelerate. Loss making primary market bottles aside; the recent Whisky Auctioneer sale would be best described as a continuation of a (mainly) very positive theme. In many cases demand for the usual suspects took to new highs while other bottles continued to fall. The Port Ellen official releases performed amazingly well with new records for the 5th, 6th and 8th releases. £950, £1,150 and £945 (respectively) took these bottles soaring past respective low values of £150, £140 and £170 in 2009. While average Indie per-bottle prices are still some way under the OB’s, massive demand took many IB’s to new heights. Both the Signatory port wood finishes hit new records with the first edition hitting £480 (£90 low point in 2008) and the second edition taking £575 (£80 low point in 2008). Bottles from silent siblings Millburn and Glen Flagler also fetched impressive numbers. A Douglas Laing bottled 1969 36 year old Millburn achieved £425 and a 1974 31 year old from Cadenheads took £345. Signatory’s 1970 23 year old Glen Flagler made £600, up from a previous £420 best. 1977 (from cask 7026) sold for £2,100 down from a June peak of £2,900. 1981 (from cask 8461) ‘en soi’ sold for £2,000 down from a £2,600 peak in April. 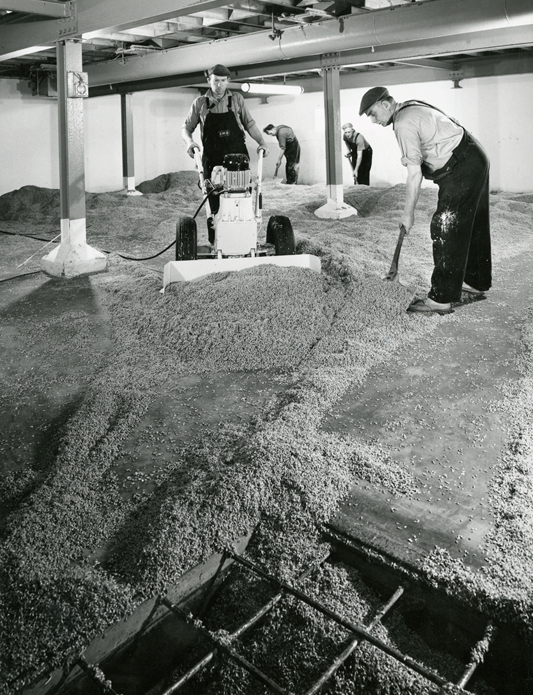 1981 (from cask 152) sold for £1,800 down from its £2,400 peak in September. Again, taken from their original retail prices, these sale values are far from catastrophic; however, bottles purchased at auction earlier this year look like losses will be further extended. Our final distillery this week is Glenfarclas. Producers of some of the best spirit on earth; ‘probably Speysides finest’ as they have been known (who the hell am I to disagree to be fair) look like a long due upshift in values is on the cards. More recent contemporary releases are remaining relatively stable, however, values for older vintages are hardening. 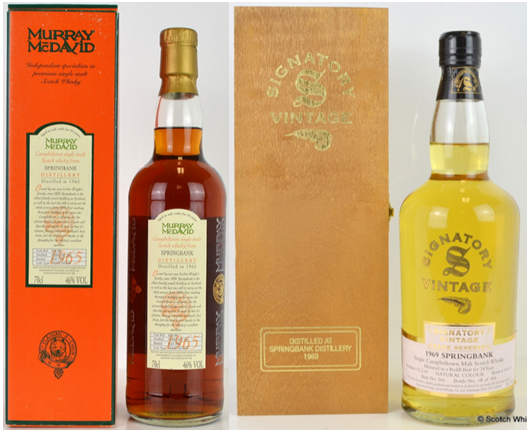 A bottle of Signatory bottled 40 year old from 1958 achieved £1,260 up significantly on its 2014 high of £800. 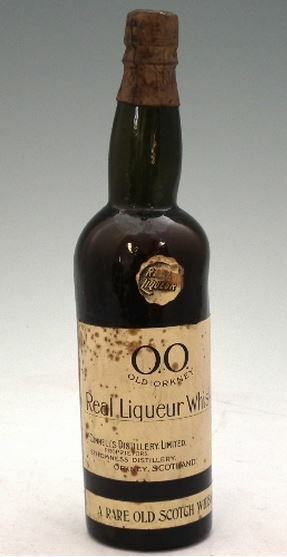 A bottle of the OB 1959 vintage fetched £850, again, a significant uplift on its previous £600 record. Are Glenfarclas values set to increase? Compare values for similar old vintages from other well-known distilleries and it’s not difficult to see why interest is now shifting to Glenfarclas. Prices in the current market look very favourable from a quality and age perspective. December promises the highest ever number of bottles to hit the open market. As widely discussed, the end of 2014 had a supply led slowdown in values. Right now, this year looks to be bucking the trend. In what is set to be the biggest whisky auctioneering month on record, can demand continue to outpace supply? The 21st (really? Almost two years!) Whiskyauctioneer sale ended last week and brought with it a whole host of record prices, some were particularly strong. Amid solid demand, the secondary rare whisky market (for the right bottles), looked well and truly governed by the bulls. The first-release phenomena stood out with the sale of a full set of An Cnoc Peter Arkle bottles. The first release (fourth bottle along in the image) achieved £138, it’s first time over £100 but the rest of the collection dipped. 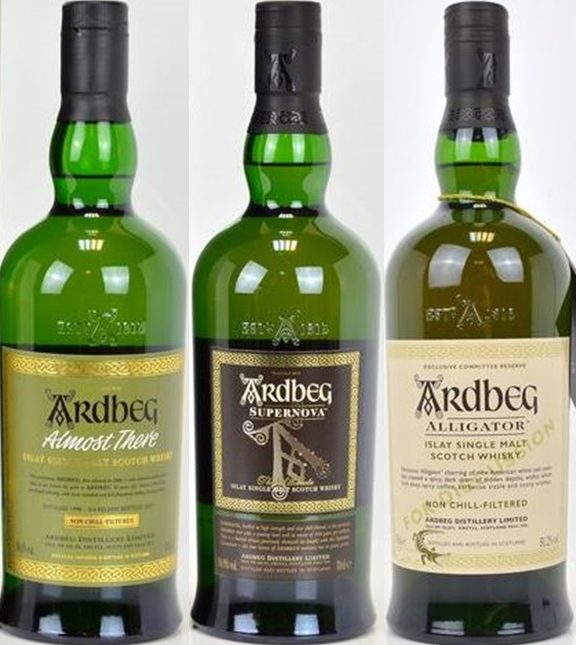 Tipped as ‘buys’ previously, many independently bottled Ardbeg values drifted further north. As LVMH continue their strict cask control regime (I’ve tried to buy some, it didn’t work out well!) the number of remaining casks in the market out-with LVMH control continues to wither on the vine. Diminishing supply and no let-up from an army of keen fans should see these bottles continue to perform. 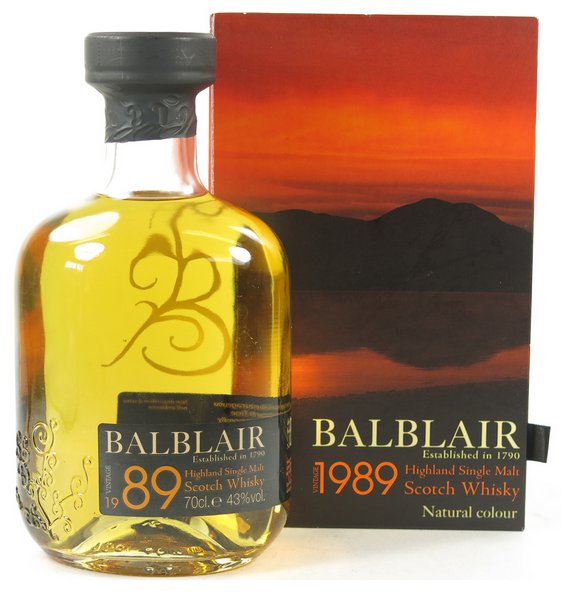 Our local distillery and frequent source of great juice, Balblair, saw the first release 1989 vintage peak at £127 (first release standing out again). Just £25 took this at auction in 2010. Surfing on Atlantic wave sized peaks and troughs, as is now common with the distillery, Bruichladdich had an interesting set of results. 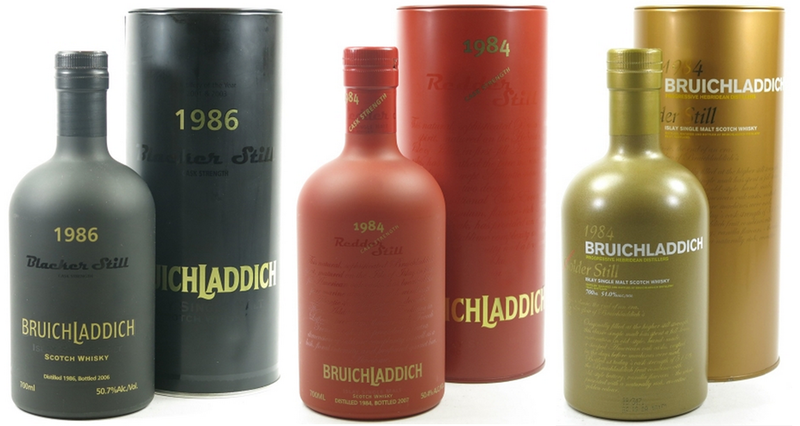 The trilogy of Blacker Still, Redder Still and Golder Still saw Blacker selling for £370; way under its record £600. Redder sold for £350, just off its previous best £410 and Golder advanced significantly to sell for a heady £330. In 2011 Golder sold for a mere £78, well under its original retail price. 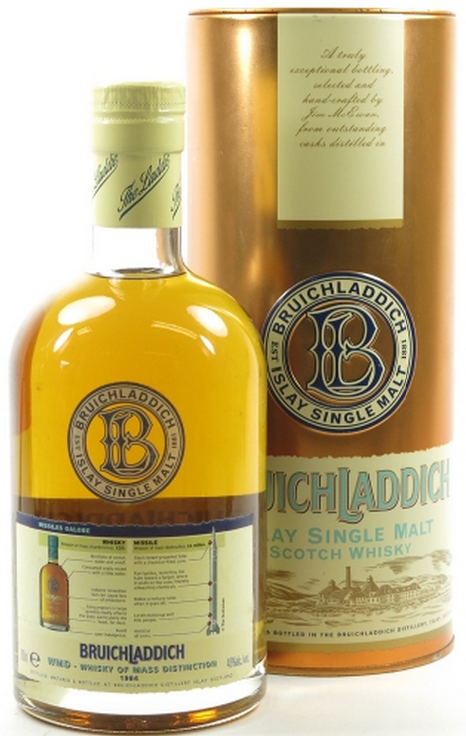 Previously one of the most sought after collectable Bruichladdich’s was ‘The Rocket’ or WMDI – Whisky of Mass Distinction (followed by the far more common WMDII – Yellow Submarine). As far back as 2008 WMDI was selling for £180 – £200; more recent sales have been as much as £270 and £310. In common with Bruichladdichs yo-yo-esque auction performance one sold for an all-time low of £175 (it also subsequently sold for less than that but more on that next week). Unless Bruichladdich is being bought as a drink or as a collectable, we’re advising to wait on the side-lines as an investment; certainly until values stabilise and this extreme volatility settles. Silent Stills proved yet again they’re still attracting some serious competition. Released in 2003, the Glen Flagler / Killyloch pairing performed impresively. 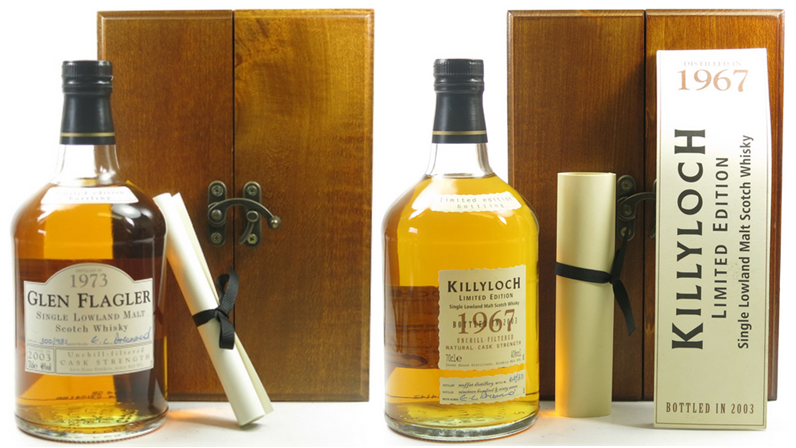 As the only official bottling from Killyloch, this 1967 vintage sailed through its previous £1,550 record and sold for £1,850. While the Glen Flagler failed to achieve an outright new record, (£1,150 was bid in September 2013) it out-performed its current £550 – £750 trading range and set a second best price of £1,000. Cadenheads 1978 vintage Coleburn which sold for £305 (£75 low-point in 2011). Cadenheads 1977 vintage Pittyvaich which sold for £450 (£220 low-point in 2013). Signatory 1990 vintage Rosebank which sold for £260 (£125 low-point in 2014). Against The Grain 1982 vintage Glen Mhor sold for £133 (£52 low-point in 2009). 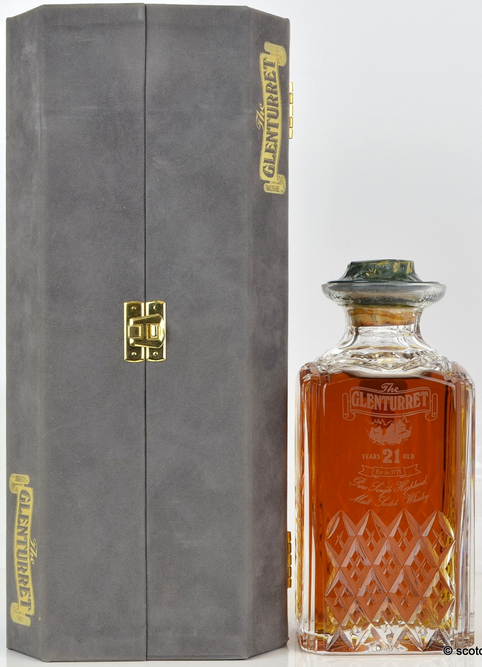 Featured almost every week now, recent increased demand for Highland Park saw one of the Bicentenary Repatriation bottles achieve £799, sailing past current trading range of £350 – £450. A very respectable gain over its £250 original retail price. 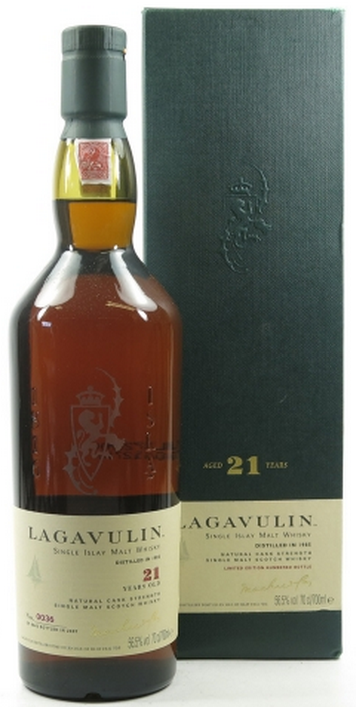 Lagavulin’s 2007 released 21-year-old just pipped its previous best of £880 when one sold for £893. While the volume end of the market continues to falter (but provides opportunities for missed bottles to be picked up at fair prices) the rarer end of the market maintains its buoyancy. Are Bottles from Silent Stills Vanishing? 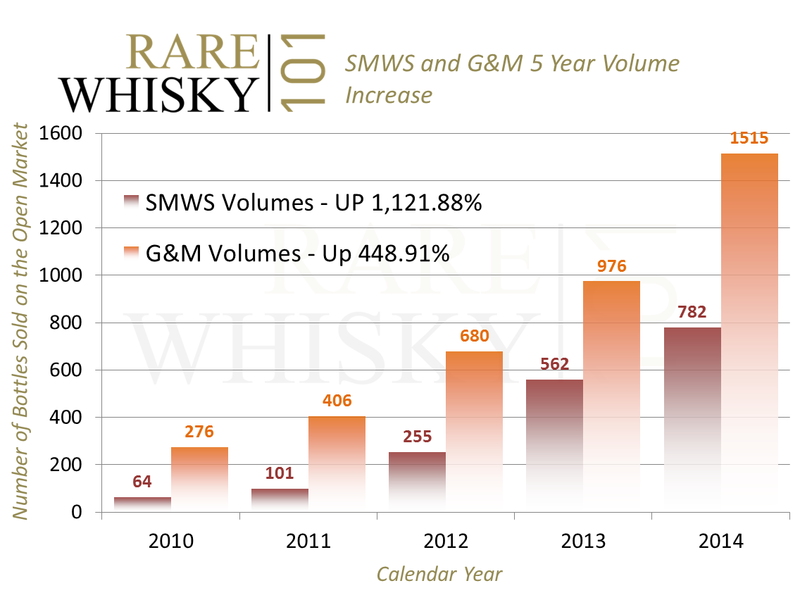 Scotch Whisky Auctions (SWA) first sale of quarter three 2015 highlighted a particularly revealing trend. For some time now we’ve had it in mind that the number of bottles appearing at auction from silent distilleries is in decline. Until now It’s been more of an anecdotal thought; as usual, we’ve tried to put some numbers behind the hypothesis. Individual bottle values seem to be increasing for most, if not all, silent distilleries. So before we come onto the usual winners and not-so-winners from the recent SWA we take a look at open market supply for silent stills. The charts below illustrate some single month analysis over the last three years for the number of bottles from silent stills hitting the hammer. This is purely from Scotch Whisky Auctions and shows full-sized bottles (and 50cl) only, so excludes 20cl and miniatures. Are bottles from silent distilleries set to become extinct? We suspected a decline would be evident; however, we had no idea it would be so severe. 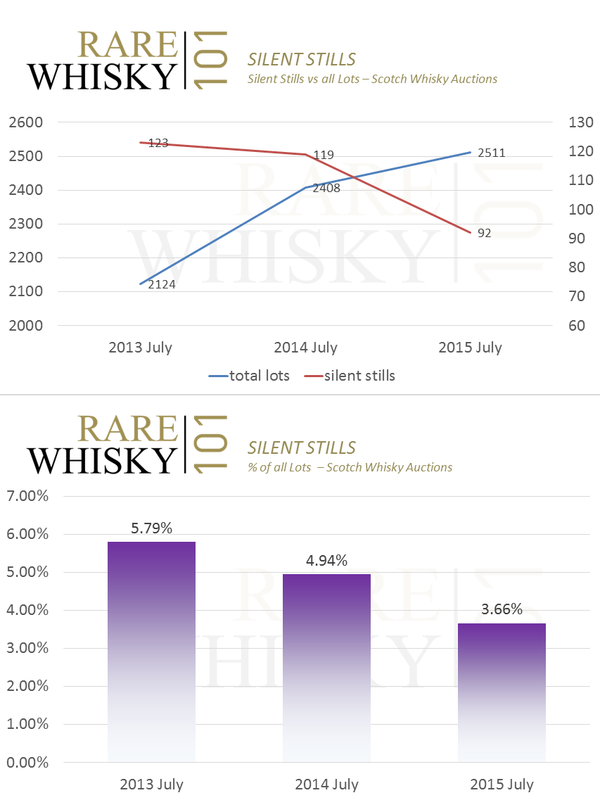 Over a two-year period the % of bottles from silent stills compared to ‘all lots sold’ has fallen from almost 5.8% in July 2013 to almost 3.7% in July 2015. I find that quite staggering… more than 1% per year. In part, this goes some way to highlighting why bottles from silent stills feature record prices so frequently. The question is – Are they being kept/collected or are they being consumed? If they are being preserved to be re-sold in future months/years, once prices reach a certain level, we may see this trend reverse (at least stabilise). If they’re being drunk, effectively reducing the target pool of available stock, values should continue to increase… in some cases that increase could be somewhat rapid. Demand continues at all-time highs, so with stock levels exiting the market at this rate, now might just be the time to buy those missing bottles from one’s collection. Official Port Ellen and Brora prices have remained relatively static for some time and have re-traced from previous high points… but for how long? Silence, it appears, is indeed golden! The recent SWA sale had many new records for bottles from both open and closed distilleries. 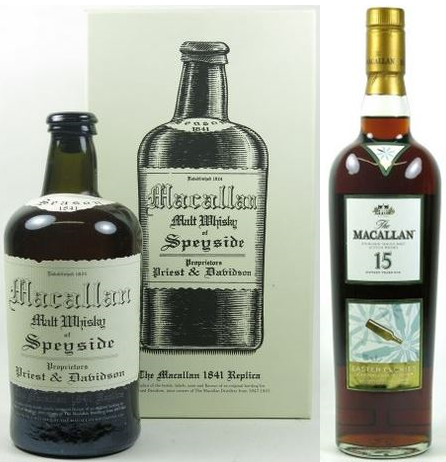 The recent up-trend for older discontinued bottles of Macallan accelerated as we saw a bottle of 1968 vintage 18-year-old break £1,000 for the first time. £1,150 took the bottle past its previous high of £950 and left its 2008 low-point of £240 way in the distance. The red-label US export Cask Strength bottling managed to squeeze £400 for the first time, some £60 over its previous high and a highland-mile away from its £120 low in 2010. There was no let-up in demand for Macallan’s halo bottles as the 1951 (one of 632 bottles released – NOT the Fine and Rare bottle it’s frequently confused with) fetched £8,600. While this is an equal record, the bottle hasn’t seen that kind of price since February 2014. With a 2011 all-time low of £1,600, a clear £7000 increase in value is somewhat impressive. The 1961 (again NOT the Fine and Rare bottle it’s frequently confused with) managed £7,000, its second best ever. More modern contemporary Macallan saw some small but none the less important rises with the 2011 Royal Marriage taking £1,100 – £1,200 and the Coronation twin set managing £780 – Have we now tested the bottom for the Royal trilogy? Unfortunately, other limited editions fared less favourably with both Ghillies Dram and the Burns decanter selling well under recent trading levels. Rarities took some of the limelight with older aged/vintage bottles remaining gilt-edged. Dalmore’s 45 year old Aurora achieved a new record £3,900. If this was bought as a ‘drinker’ it’s utterly sublime; one of the few whiskies which is scorched into my memory…. At £3,900 it’s not cheap… and nor should it be! Ardbeg’s 1975 single cask (1375) sold for £1,250 and £1,150, both new record prices. £400 would have taken this bottle at its lowest price way back in 2008. The often overlooked Glenturret saw a doubling in value for its 1980’s bottled 21-year-old crystal decanter. A little over a year ago it sold for £200 which now looks good value next to the £400 it fetched here. 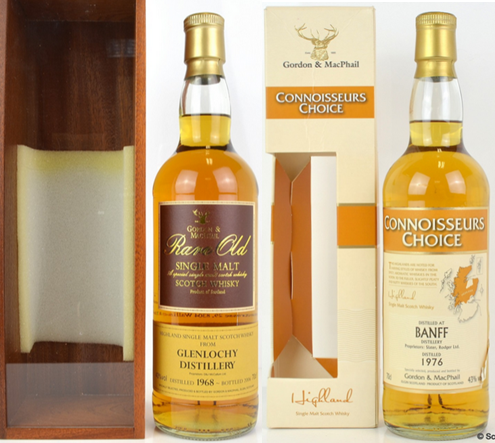 Circling back to silent stills, a bottle of Banff 1976/2008 Connoisseurs Choice fetched £220 which is more than three times its 2010 price of £60. Again, from Gordon and MacPhail, a bottle of 1968/2006 Glenlochy hit £320, £100 ahead of its last UK sale price in 2013. Not everything flew to heady new heights. It’s always interesting when a completely new bottle hits the market, especially one with no obvious previous retail price history (gifts etc). A bottle of Hazelburn ‘Warehouse Dinner’ 17 yr old sat resolute with a stiff reserve of £250… There it sat for the duration…and remained unsold. I would imagine the reason for that is one sold a few days earlier for a scant £75, clearly setting pricing well below that required from the vendor. Some of the well known past collectables seemed to languish further. 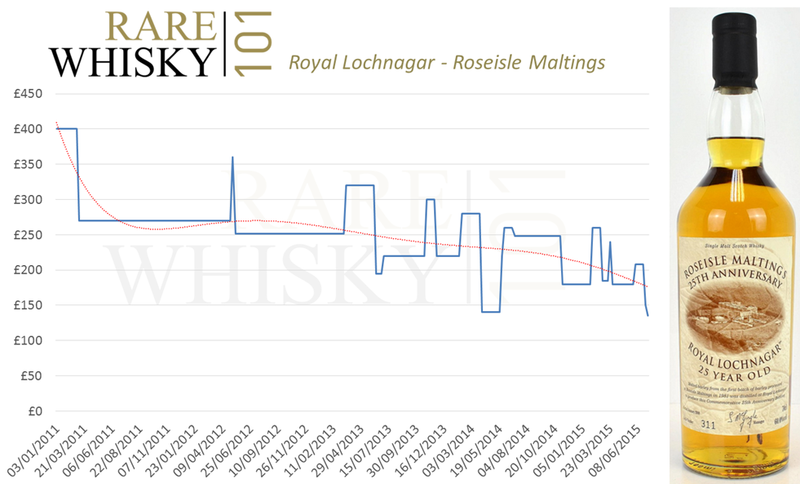 Relatively recently, the Royal Lochnagar Roseisle Maltings bottle could command as much as £400 at auction. Recent years have seen the value of this bottle continually erode . While the most recent bottle at this SWA sale had someones signature on it, it still only managed £135. That’s a 66% drop in value since 2011. From our perspective, this clearly shows new and existing buyers are focused on different types of collectables. All bottle images courtesy of Scotch Whisky Auctions. 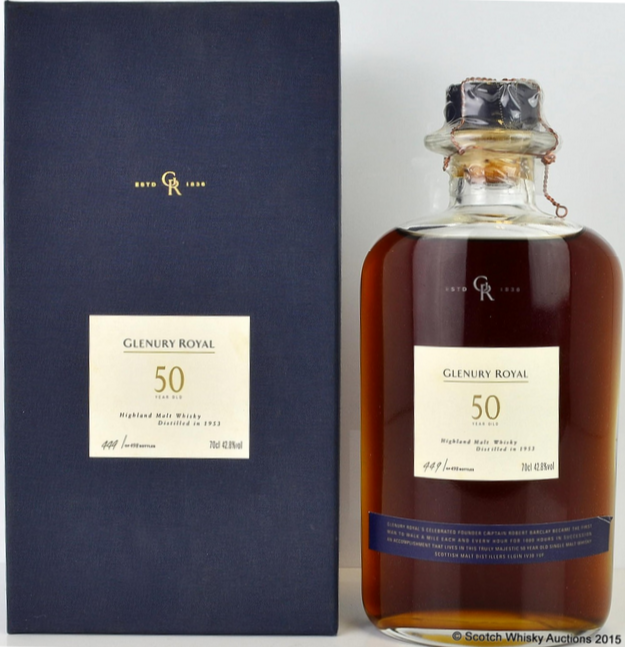 One of the more recently established whisky auction houses has been generating a high level of interest bringing some exciting bottles to the open market. Perth based Whiskyauctioneer has been trading for just over 12 months and appears to be a firm fixture in the monthly auction calendar. Their recent sale included a number of exceptional high end bottles with a balance of attractive prices for both buyers and sellers. The star of the show was a bottle of the more recently released Black Bowmore along with siblings White and Gold Bowmore. Previous prices for the trilogy have been static at £12,500 for some time. £16,000 took the prize on this occasion showing demand is still high for these top end rarities. This also follows Bowmore’s general increasing trend for older bottles. Staying with the aforementioned Bowmore, a bottle of 1968 vintage, 37 year old, sold for £1,455. As recently as December 2013 a bottle slipped through the net, achieving just £450. The previous record was £1,060 in December 2014. Balvenie had another good auction with constantly increasing demand pushing values higher. A bottle of Sherry Oak 17 year old sold for a record £200, way past its lowest sale vale of £62 in 2012. ‘The Cooper’ performed well again; a bottle lacking the paper surround for the card tube sold for £440. Diageo’s 2014 Brora Special release had its first UK auction outing and sold for £950. Not disastrous by any stretch, however, this shows the market value perception for the Special Releases has changed dramatically over recent years. Take off 5% sellers premium plus VAT and that leaves net proceeds of £893, a 25.6% loss over the £1,200 RRP. The question is, will the market catch up in future years or have the Special Releases had their day (from a collectors/investors perspective)? To some degree I do suspect the market will catch up, however, when you take account for sellers premium etc it could be a good three years plus to see any sort of break-even at current retail prices (I’m purely talking Brora here, not the rest of the pack, many of which are solid drinkers and nothing more). Bruichladdich looked a little more buoyant than of late, especially at the top end (relatively standard limited releases continued to languish). The 40 year old sold for a record £1,400, edging past its previous best of £1,250… In 2009 a bottle sold for £360. 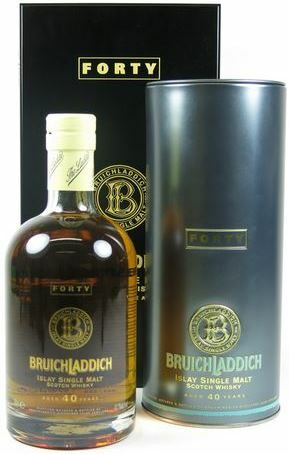 This bottle also becomes the single most expensive Bruichladdich ever sold at auction in the UK. Matching Bruichladdich in age, a bottle of 1966 distilled 40 year old Dalmore sold for £1,800. Not an outright record but a record for a bottle which is unsigned by Richard Paterson. At the other end of the trading range, the Dalmore 25 year old was back down to £400, a significant loss against its £600 retail price. Broad based Macallan values shifted very slightly north which was pleasing to see. The 15 year old Easter Elchies Seasonal Selection hit a new high of £375 and the 1841 Replica achieved £260, its best price yet. 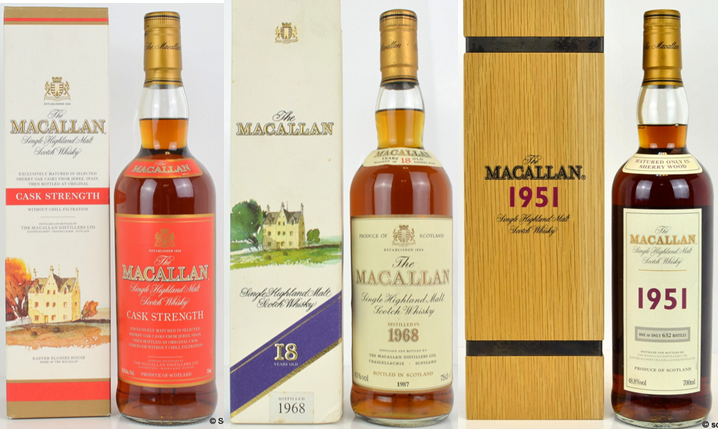 In common with other recent auctions, contemporary high value Macallan NAS bottles failed to sell. Two ‘M’ Decanters and one of the two ‘Reflexion’ bottles remained unsold. Does high value NAS actually mean Not Actually Sold (at auction anyway)?! Port Ellen values look stable at current levels with the 4th release achieving a new record £1,650. At the other end of the scale, the old ‘pre-Flora & Fauna’ bottle of Aberfeldy 15 year old sold for £130, its lowest recorded sale yet. With a high-point of £280 in 2012, recent times have seen a gradual slip in value yielding a 53.6% loss from peak to current trough. 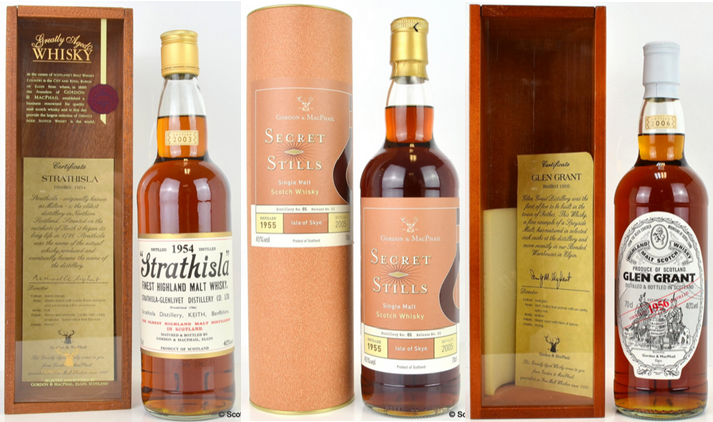 The final interesting observation from this particular auction was the general lack of bottles from silent stills. 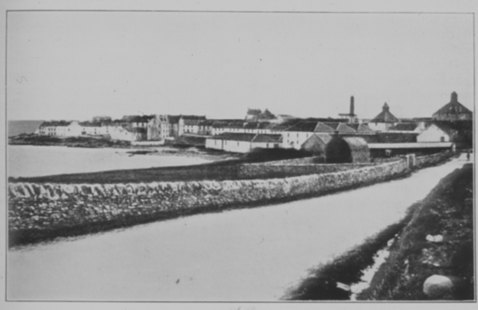 There were the usual Port Ellen culprits and, a couple of Brora’s and a light dusting of Rosebanks but other than that, consignments from closed distilleries were pretty thin on the ground. A sign of things to come? Get them while you can…? Kicking off January’s whisky sales, Scotch Whisky Auctions saw a buoyant start to 2015 for many bottles. 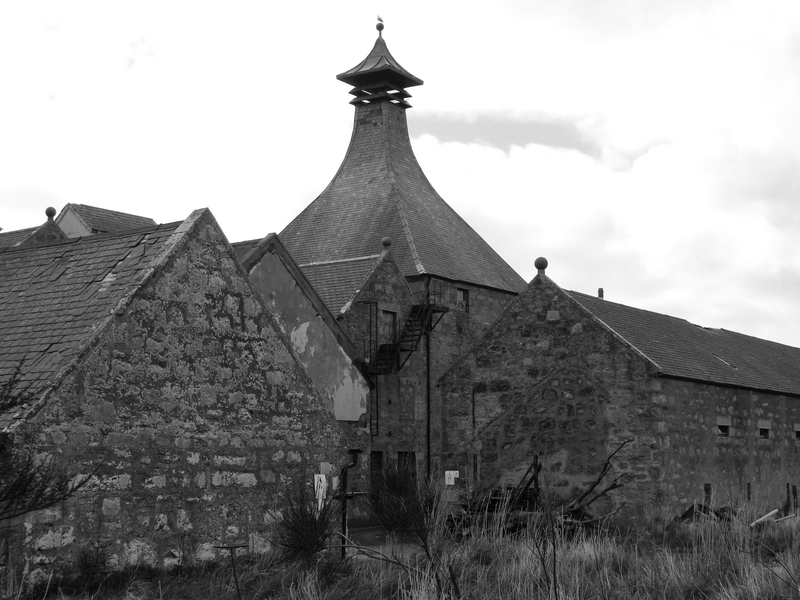 As was common for many distilleries, Ardbeg values faltered at the end of 2014 amid ever increasing supply. It was pleasing to see something of a return to form for many of the relatively voluminous limited releases. New records were established for Alligator Committee at £250, ‘Almost There’ at £150 and Supernova Stellar at £270. Again, following a fairly flat trading period, Brora values started to pick up yet again. The 2008 release 25 year old achieved a new record £680 and the 2010 30 year old release hit £700. The interesting thing to note about bottles from Brora is the number of bottles being sold on the open market is declining in relation to the broader market increases…. Are they being hoarded or are they being drunk? If they’re being hoarded there’s always a risk that the market becomes flooded in the future pushing prices back. 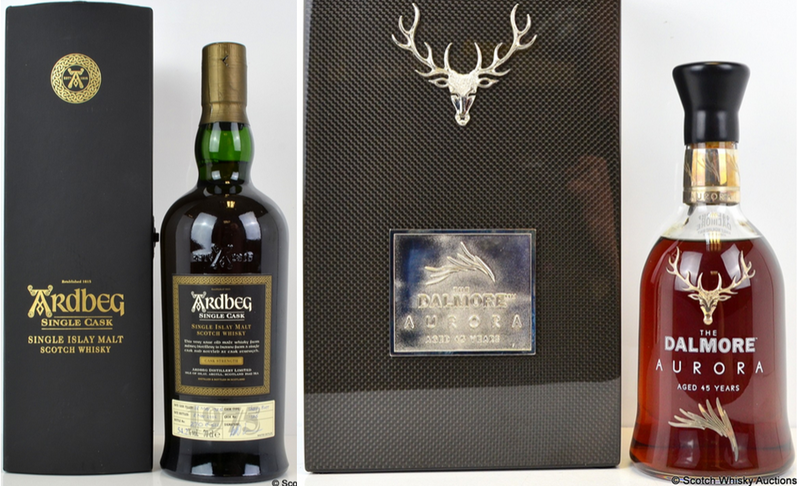 Managers Drams in general had a good auction with many seeing new record prices – £340 took the Aberfeldy and £155 took the Mannochmore (with a good fill level). An index showing the value of a full set of managers Drams peaked at 157.14 in June 2013 (Index start was 100 on the 31st Dec 2008). Latterly the set declined 23.46% to a 3 year low of 120.27 in October 2014 before recovering slightly to see a current value of 126.78. 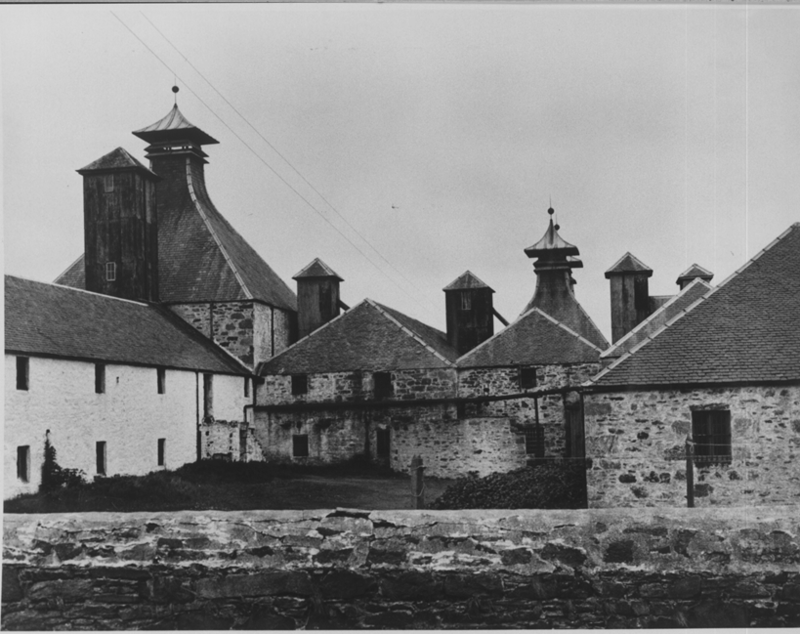 A wide variety of Silent Stills showed good momentum – Many bottles achieved record prices. Ignoring bottles from the Scotch Malt Whisky Society for a moment, Gordon and MacPhail led the way from an independent bottlers perspective. Many Connoisseurs Choice bottles attracted stiff competition. Millburn 1976/2004 sold for £175 up from its previous best of £140 in September 2014. Rosebank 1983/1995 sold for £170 up from £130 in July 2014. St Magdalene 1981/1997 achieved £200 up from £110 in May 2014. The same vintage St Magdalene but bottled in 1999 achieved £180 up from £155 in September 2014. Staying with Gordon and MacPhail but moving to the Rare & Old series rather than Connoisseurs Choice, a 1975/2008 Convalmore hit £310 up from £230 in November 2013. Impressive Silent Stills records from other bottlers included – Douglas Laings Rosebank Old Malt Cask 1974 30 year old hit an impressive £490, up from £280 in June 2014. A Duncan Taylor bottled 1981 26 year old Glenesk achieved £390 more than doubling its previous sale of £140 in 2012. Murray McDavids St Magdalene 1982 24 year old sold for £190 just passing its previous best of £180 in September 2014 and significantly ahead of it £65 low in 2011. Moving back to the aforementioned Scotch Malt Whisky Society (SMWS) bottles – SMWS have seen something of a momentous change in their frequency of appearance at auction. The chart below shows the number of bottles sold at auction in the UK over a 5 year period from 2010 to 2014. By means of comparison, Gordon and Macphail have also been included. While the overall number of bottles seen from Gordon and MacPhail remains significantly ahead of SMWS (1515 bottles sold in 2014 compared to 782 from SMWS), the rate of increase from SMWS is staggering at 1,121.88% compared to just 448.91% from G&M. As bottles from SMWS become more widely recognised could now be the time to pick up any remaining bargains from certain distilleries? More research is needed to see which indie bottler has shown the most rapid growth from a volume perspective… and also crucially from a value perspective. There’ll be another time for that. Back to some of the SMWS star performers – Rosebank was popular with a bottle from cask 25.69 (1991 23 year old yielding just 35 bottles) hitting £350. A bottle of Bowmore from cask 3.222 (a 13 year old) achieved a new high of £110. A bottle of 33.64 (a 9 year old Ardbeg) sold for £165 showing that relative youngsters should not be discounted. Two bottles from cask 99.8 (Glenugie 24 year old) hit £400 (these were just £95 in 2010). Along with a good array from open distilleries there was strong representation from many silent stills with St Magdalene, Millburn, Convalmore and Glen Albyn in the mix. With too many other records to mention, the continuation of another key trend was prominent – Older vintages remain hugely sought after, almost irrespective of distillery. A bottle of Linkwood 1946 by G&M sold for £500, way ahead of its £280 low in 2010. While the auction was generally buoyant, polarisation continued with less sought after collectables almost disappearing into a mire of cast aside liquid and crystallised losses. One of the best examples was a Signatory bottled Glenkinchie 1978 19 year old which sold for £80. Its previous sale was £200 just last year. Polarisation in Extremes. Following a more general stabilisation (or a fall in many cases for many distilleries) towards the last quarter of 2014, early 2015 signs look positive. The recent Whisky-Online Auctions (W-OA) sale perfectly illustrated the polarisation of the rare whisky market right now. The hugely rare ‘centre-stage’ bottles bore witness to significant demand and in some cases equally significant increases in price. The recent October Market-Watch highlighted Bruichladdich as experiencing a significant and protracted re-trace in values. That trend looks to be continuing and, if anything, accelerating as we start to see prices cooling rapidly. The show stopper from a % loss perspective was the single cask release ‘Wee Ruari’. At its UK auction premier, just over 12 months ago, this bottle achieved a huge £580; since then it’s seen value erosion like few others. At this months W-OA sale, Wee Ruari hit an all-time low of £165, yielding an exceptional 71.5% loss… in a little over a year. Other significant falls were seen for Highland Park’s ‘Eunsons Legacy’ (sold for £210, down 50% from its 2010 peak of £420) and virtually everything from Knockando. Knockando have never been the most sought after of collectables, but a gradual appreciation (of values) has seen some of the older vintages become increasingly desirable. With so much supply on the open market, it was only really a matter of time until some of the second and third tier ‘collectables’ were cut loose in favour of others. Ardbeg’s ‘bling’ press release bottle of Auriverdes sold for £2,590 at its peak in May this year. Six months later and a 59.5% drop left it languishing at £1,050. Loss aside, that’s still not a bad Christmas bonus for a free bottle. From a positive perspective there were some exceptional results for many high end collectables and bottles from (again) silent stills. 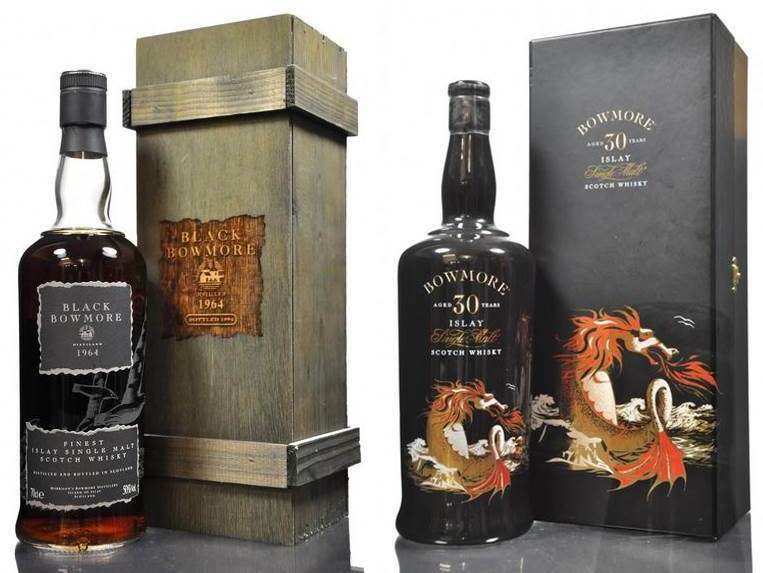 Rare Bowmore values continued their bull-run: The second Black Bowmore release fetched £4,200. In 2008 these were selling for a little over £1,500 but a lack of current stock continues to propel prices higher. The 30 year old ceramic ‘Sea Dragon’ bottle breached the £1,000 mark for the second time ever as the hammer fell on a record £1,050. In December 2012 Macallan’s 57 year old Lalique Decanter sold for £6,801 (again at W-OA), less than two years later and a record £15,100 was paid for a bottle. An increase in value of 122% gives clear evidence of continued strong demand for Macallan rarities. Dalmore’s Candela sold for £10,600 showing a 51% increase in value over its June 2013 sale price of £7,000. Many lower value Dalmore bottles have shown diminishing prices recently with older vintages and high-end rarities leading what would otherwise be a stagnant auction performance. Older Laphroaig bottles firmed up once more as one of the 1980 27 year old ‘Oloroso Cask Matured’ (972 bottles released) broke through £1,000 for the first time (£1,050). 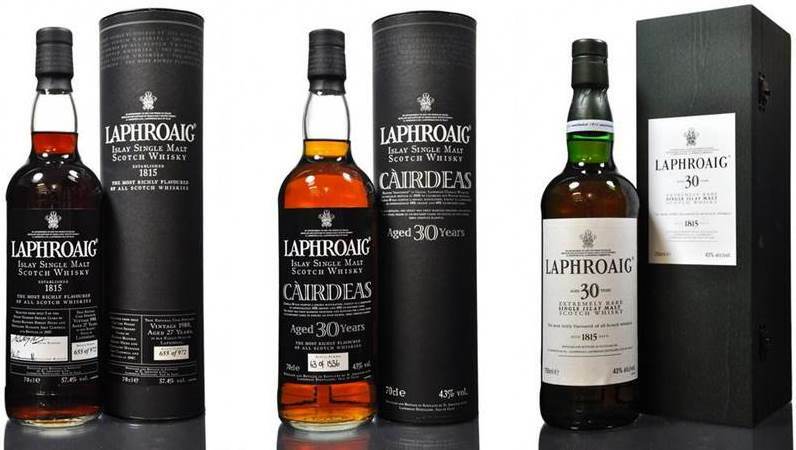 £775 was just £5 off the current record for a bottle of the 30 year old Cairdeas and £825 set a new benchmark sale price for the standard 30 year old. Virtually all the old Cadenheads dumpies have performed exceptionally well over recent years. Older vintages from silent stills remain among the most popular. A bottle of 1959 vintage Glenugie tipped the till at £700 showing huge upside against its 2010 price of £220. A bottle of 1964 vintage St Magdalene fetched £625, significantly outstripping its 2010 price of £380. 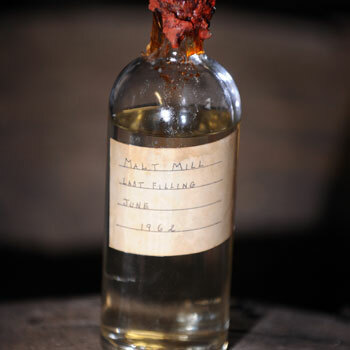 Dallas Dhu’s 1962 vintage bottle sold for £450, more than doubling its 2009 price of £200. All told, another well balanced auction from W-OA with plenty of good value drinkers at more than fair prices – but, yet again, the higher end was where the keenly fought action was.